The threshold is used to filter out insignificant differences. Below we list the tests that have a weighted score difference (for the selected usage) above the threshold. What it is: Adjustability and degrees of freedom, pressure, stiffness and weight. When it matters: When the headphones are going to be used for long durations. What it is: The force that the headphones exert on your head, once you have them on. This is purely a measurement of the force applied, which does not take into account the earpad's surface area and the resulting pressure you will feel, on or around your ears. 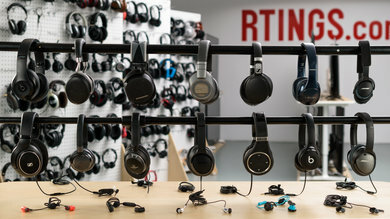 When it matters: The tighter the headphones, the more force they put on your head. This can get uncomfortable or cause pain and soreness during long listening sessions. 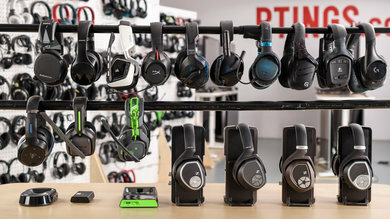 What it is: The control scheme of the headphones, the number of functions provided, button layout and ergonomics as well as the quality of tactile feedback. When it matters: If you want to control volume, pause your music or make phone calls without directly interacting with your audio device. What it is: Being able to mix audio channels directly on the headphones. When it matters: This is most useful when using a separate chat software so that you can mix in-game audio and chat audio depending on your needs. What it is: How hot the headphones get when you wear them for an extended period of time. When it matters: If you often have long listening sessions or use your headphones while doing physical activities like running or working out. 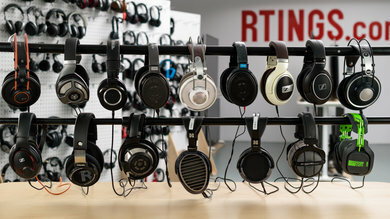 What it is: The volume of space occupied by the headphones when folded into their most compact format. When it matters: If you're often on the move and need to carry your headphones in a bag, purse , or pocket. 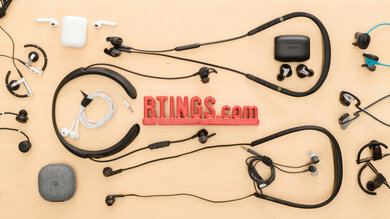 What it is: The provided carrying options to protect your headphones when transporting them. 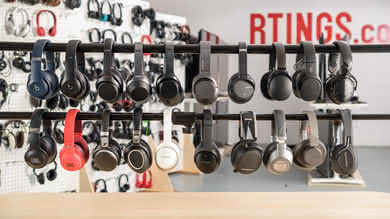 When it matters: To prevent damaging your headphones, if you often carry them in your bag or pocket. What it is: Durability, material quality, cheap/expensive feel. 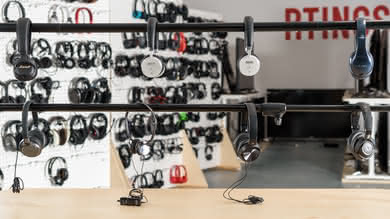 When it matters: When the headphones are going to be used by multiple users (classes/studios), by children, in tough conditions, on a daily basis, or for exercise. What it is: How the headphones are designed to prevent them from slipping off your ears or falling off your head. When it matters: If you plan on using the headphones while doing sports or other physical activities that requires a lot of movement. When it matters: When the material is heavy on bass frequencies, such as those of kick drums and bass guitar. What it is: The amount of deviation (weighted standard error) in bass frequency response (20Hz-250Hz) as compared to a target response that would sound perfectly balanced to most people. When it matters: When a balanced and neutral (reference) bass performance is desired. What it is: The lowest frequency at which the frequency response reaches -3dB of the target response. When it matters: Shows how extended the bass is. What it is: The average amount of over/under-emphasis in frequency response from 20Hz-60Hz. When it matters: Kick drums and low frequency effects get their 'thump' from this range. Mostly felt than heard. What it is: The average amount of over/under-emphasis in frequency response from 60Hz-120Hz. When it matters: Melodic bass instruments have most of their fundamental frequencies in this range. This is where the 'body' and 'punch' of the bass sits. What it is: The average amount of over/under-emphasis in frequency response from 120Hz-250Hz. When it matters: Most instruments get their warmth and full-ness from this range. When over-emphasized, mixes tend to get muddy and boomy. When it matters: When the material is heavy on mid-range frequencies. This is the case for the majority of audio content. What it is: The amount of deviation (weighted standard error) in mid frequency response (250Hz-2.5KHz) as compared to a target response that would sound perfectly balanced to most people. When it matters: When a balanced and neutral (reference) mid performance is desired. What it is: The average amount of over/under-emphasis in frequency response from 250Hz-500Hz. When it matters: Most instruments have their fundamentals or low harmonics in this range. Over-emphasis in this range sounds muddy and cluttered. Under-emphasis, thins out the vocals and lead instruments. What it is: The average amount of over/under-emphasis in frequency response from 500Hz-1KHz. When it matters: This range is occupied mostly by upper harmonics. Over-emphasis sounds forward and boxy. Under-emphasis pushes instruments to the back of the mix. What it is: The average amount of over/under-emphasis in frequency response from 1KHz-2KHz. When it matters: Most instruments, especially vocals, get their intensity and clarity from this range. Over-emphasis sounds honky and harsh, under-emphasis sounds weak and distant. When it matters: When the material is heavy on high-range frequencies, such as voice, cymbals, and any other material where brightness, brilliance and airiness is desired. What it is: The amount of deviation (weighted standard error) in treble frequency response (2.5KHz-20KHz) as compared to a target response that would sound perfectly balanced to most people. When it matters: When a balanced and neutral (reference) treble performance is desired. What it is: The average amount of over/under-emphasis in frequency response from 2KHz-5KHz. When it matters: Almost all instruments rely on this range for their presence, detail, and articulation. Over-emphasis can sound harsh and painful. Under-emphasis hurts the comprehensibility of vocals and lead instruments. What it is: The average amount of over/under emphasis in frequency response from 5KHz-10KHz. When it matters: This is the sibilance range. Cymbals, vocals, and lead instruments rely on this range for brightness and presence. Over-emphasis sounds piercing and painful, under-emphasis sounds dull and lispy. What it is: The average amount of over/under-emphasis in frequency response from 10KHz-20KHz. 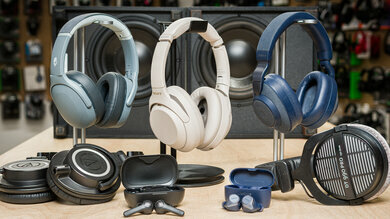 When it matters: This range gives brilliance and airiness to the sound. Over-emphasis sounds hissy, under-emphasis sounds closed-up and lifeless. What it is: The average uncompensated frequency response of the headphone. 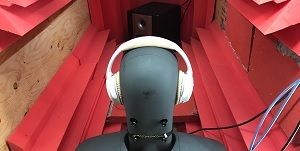 For in-ears and earbuds, this corresponds to the average of 5 measurements/re-seats on the dummy head (HMS). 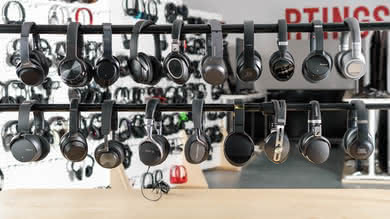 For over/on-ear headphones, this corresponds to the average of 5 measurements/re-seats on the HMS (Head Measurement System) for the mid and treble ranges, and 5 measurements/re-seats on 5 human subjects for the bass range. When it matters: This is for those who want to see the raw and uncompensated frequency response of the headphone. 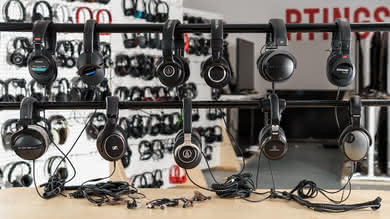 Some of the more advanced users, are able to read and evaluate headphone frequency response in its raw form and without compensation. 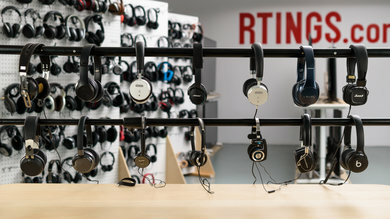 This will be especially useful to them if they have their own headphone compensation/target curve, which may differ from the compensation curve/target response used by RTINGS.com. What it is: The amount of deviation of each frequency response pass, from the average frequency response. 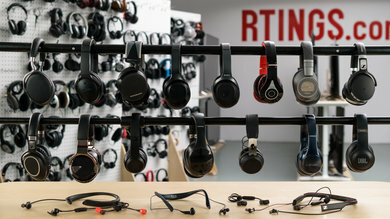 When it matters: Shows how consistently the headphones perform after re-positioning them. What it is: The average amount of deviation in frequency response of 5 re-seats, from the average frequency response. 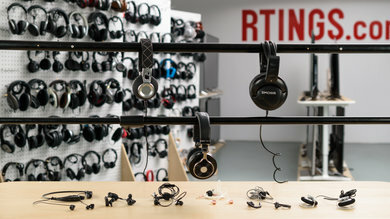 What it is: Imaging qualities are inherent to the audio content, the headphones have to 'reproduce' them rather than 'create' them. They determine how accurately the objects are positioned in the stereo image, and how transparent the imaging is. When it matters: When accurate positioning of the objects in the stereo image, and clear and transparent imaging is desired. What it is: The average amount of group delay calculated based on a perceptual weighting filter. Group delay indicates how long it takes for each frequency to reach their maximum amplitude. This is a monaural quality and can be perceived even with one ear. When it matters: Headphones with lower group delay have more transparent imaging and a tighter bass. 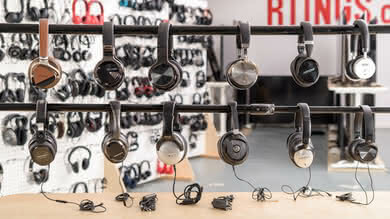 Headphones with higher group delay in the bass range tend to have a wimpy and loose bass, and headphones with higher group delay in the treble range tend to have a less transparent imaging. What it is: The Left/Right balance of our test unit, that is, the amount of amplitude difference between the left and right drivers. This is not a design test, but a marker for manufacturing tolerance and ergonomics. When it matters: When a properly balanced stereo image and low manufacturing tolerance is desired. A poor score indicates a noticeable difference in level between the left and right drivers. What it is: The amount of difference (Std. Err.) between the frequency response of the left and right drivers of our test unit. This is not a design test, but a marker for manufacturing tolerance and ergonomics. When it matters: When an even and stable stereo image, as well as a low manufacturing tolerance, is desired. A poor score indicates there may be 'holes' in the stereo image at certain frequencies. What it is: The amount of difference (Std. Err.) between the phase response of the left and right drivers of our test unit. This is not a design test, but a marker for manufacturing tolerance and ergonomics. When it matters: When an even and stable stereo image, as well as a low manufacturing tolerance is desired. A poor score indicates there may be inaccuracies in the stereo image reproduction at certain frequencies. 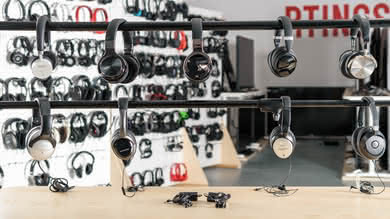 What it is: Soundstage qualities are not inherent to the audio content, the headphones have to 'create' them rather than 'reproduce' them. 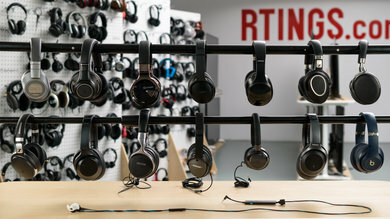 They determine whether the sound is perceived to be coming from inside or in front of the head, how open and spacious the soundstage is, how much the headphones acoustically interact with the environment, and how strong the phantom center is. When it matters: When an accurately produced, large and spacious soundstage, similar to that of a stereo loudspeaker setup is desired. What it is: The standard deviation of the PRTF (Pinna-related transfer function) of the headphones compared to a reference loudspeaker's PRTF at 30°. This quality is monaural and can be perceived even with one ear. 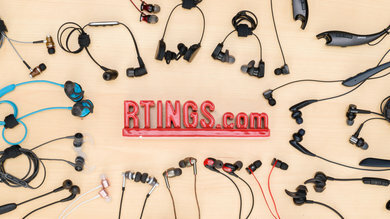 This test does not apply to in-ears and earbuds, due to the lack of pinna interaction. When it matters: An accurate pinna activation is mainly responsible for how natural and speaker-like the soundstage is perceived to be. The less error in the shape of the PRTF, the more natrual and speaker-like the perception of the soundstage will be. High amounts of error may indicate a soundstage that is unnatural or odd. What it is: The average amplitude of the PRTF (Pinna-related transfer function) of the headphones compared to that of a reference loudspeaker's PRTF at 30°. This quality is monaural and can be perceived even with one ear. 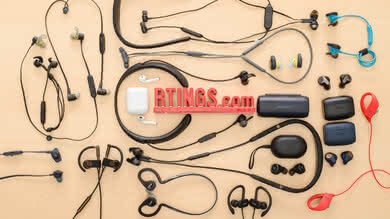 This test does not apply to in-ears and earbuds, due to the lack of pinna interaction. When it matters: This value is responsible for the perceived size of the soundstage. The higher the value, the larger the perceived size of the soundstage. However, values above the reference (5.0dB) could result in a soundstage that is perceived as unnatural or odd. 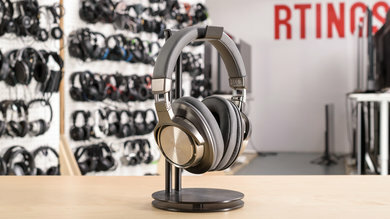 What it is: The depth of the "10KHz notch" of the headphone's PRTF, which is caused by phase cancellations at the concha. This quality is monaural and can be perceived even with one ear. 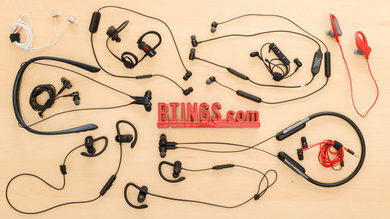 This test does not apply to in-ears and earbuds, due to the lack of pinna interaction. When it matters: This value is mainly responsible for the perceived distance and elevation of the soundstage. A small distance value may result in a soundstage that is perceived to be located inside the head. Larger values may help pull the soundstage out from inside of the head and bring it to the front. 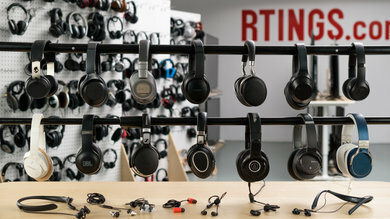 What it is: How open the headphones are, and how open and spacious they sound. This quality is monaural and can be perceived even with one ear. This test differentiates between acoustically and electronically produced crosstalk and only takes the acoustically generated crosstalk into account. This value is the inverse of the Noise Isolation test score, and could be indirectly related the acoustic impedance of the headphones. 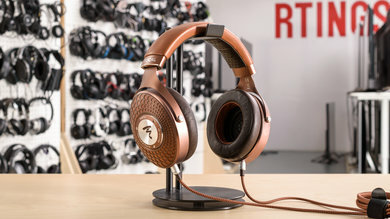 When it matters: When a headphone with a sense of an open, and spacious soundstage is desired. 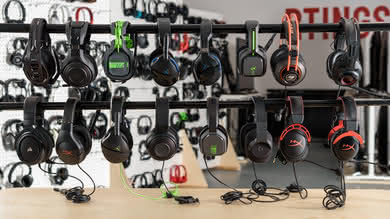 A value of 10 indicates a fully open headphone, and a value of 0 indicates a fully closed headphone. 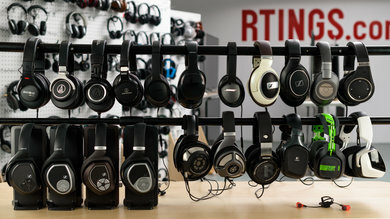 What it is: How loud the headphones are, and how much they excite their environment acoustically. 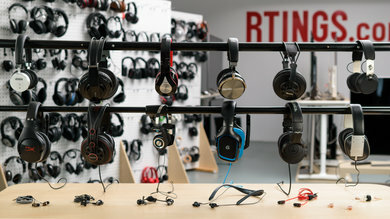 If the headphones are loud and open enough, the sound leaking from the headphones will be affected by the environment (reflections/reverb) before reflecting back into the open headphones and to the listener's ears. This quality is monaural and can be perceived even with one ear. This value is the inverse of the Leakage test score. 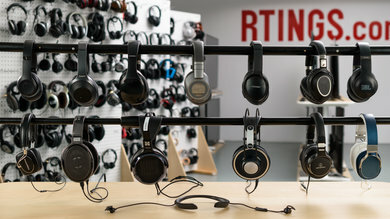 When it matters: Headphones with higher excitation values, similar to openness, tend to have soundstages that are perceived as more open and spacious. What it is: How strong and solid the phantom center is. This is mostly a stereo quality and its effects on mono content are minimal. This test is sensitive to the phase of the crosstalk and whether it is produced acoustically or electronically. When it matters: When a true reproduction of the stereo image is desired. A value of 0 indicates no crosstalk, or that the existing crosstalk is not correlated enough to affect the phantom center. A negative score means the crosstalk is out of phase with the original signal, resulting in a slightly wider stereo image at the expense of creating a 'hole' at the center of the stereo field. A positive score means the crosstalk is in phase and positively affecting the phantom center. What it is: The subtle, unwanted frequencies (harmonics) produced alongside the intended frequencies. When it matters: When clean and pure sound reproduction is desired, though its effect is not as noticable as frequency response. What it is: The overall amount of harmonic distortion measured at 90dB SPL. To make the score more perceptually relevant, more weight is given to the higher frequencies. 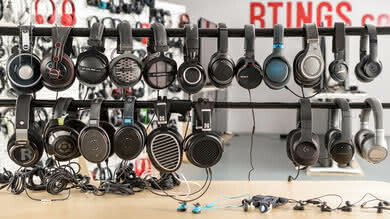 When it matters: How pure the sound is at moderate listening levels. What it is: The overall amount of harmonic distortion measured at 100dB SPL. To make the score more perceptually relevant, more weight is given to the higher frequencies. 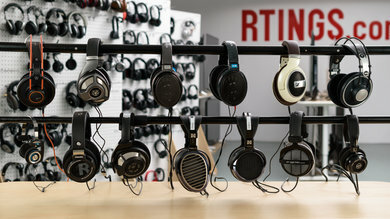 When it matters: How pure the sound is at loud listening levels. What it is: How much outside noise is blocked out by putting the headphones on. What it is: The simulated noise isolation of the headphones, demonstrating how much outside noise is blocked out by putting the headphones on. This recording is created using an EQ and is not an actual recording. For headphones with ANC (active noise cancellation), the playback simulates the isolation with ANC enabled. What it is: The overall amount of environmental noise reduction in dB. When it matters: In loud envinronments like planes, trains, offices, etc. What it is: The overall amount of noise isolation in the bass range (20Hz-250Hz). When it matters: When the outside noise is bass-heavy, like in airplanes. What it is: The overall amount of noise isolation in the mid-range (250Hz-2.5KHz). When it matters: When the environment's noise is mid-heavy, like in an office. What it is: The overall amount of noise isolation in the treble range (2.5KHz-20KHz). When it matters: When the environment's noise is treble-heavy. Although uncommon, areas with sharp sounds fall under this category. 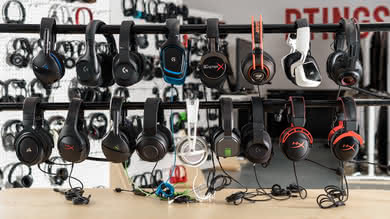 What it is: The amount of noise created by the active electronics of the headphones (if applicable), measured from 300Hz-20KHz. Applies mostly to wireless and noise-cancelling headphones. When it matters: If too loud, it could become distracting when listening to quiet material like podcasts and audiobooks. What it is: The amount of sound bleeding out of the headphones. When it matters: When the listener doesn't want people around them (in office, recording studio, etc.) to hear what is being listened to. What it is: The simulated sound leakage heard 1 foot away from the user, while the user is listening to a 100dB SPL signal. This recording is created using an EQ and is not an actual recording. When it matters: When you don't want people to hear what you are listening to. What it is: The amount of sound leakage heard 1 foot away from the user, while the user is listening to a 100dB SPL signal. When it matters: When you don't want people hear what you are listening to. What it is: The microphone section shows the quality of speech capture and transmission by the mic, as well as how well the microphone under test handles noisy environments. When it matters: For your speech to be transmitted to and understood properly by the listener, the microphone needs to have a good recording quality. If the environment the microphone is being used in is noisy, a microphone with a good noise handling performance would be needed as well. 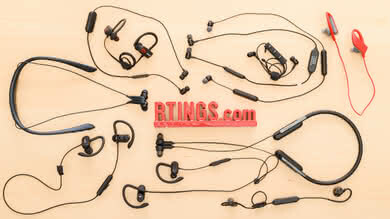 What it is: The microphone integrated in the ear cup or ear bud of a wireless headphone. When it matters: For calls, gaming and voice over IP software or for any other use of the microphone. What it is: The microphone inside the in-line remote of audio cables for wired and wireless headsets. When it matters: In-line microphone are usually better than integrated mics. 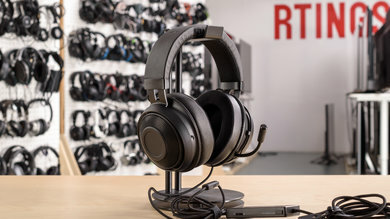 If you need better recording quality and noise handling for calls, gaming and voice over IP software then use the audio cable of your wired or wireless headphone if it has an inline microphone. What it is: A typically better microphone, that's also adjustable and extends so that the mic is closer to your mouth. When it matters: Much better recording quality and noise handling than in-line or integrated mics. Primarily used for gaming and voice over IP software. What it is: A boom mic that is detachable from the headset. When it matters: If you want to use your headphone outdoors without the bulk and hassle of the Boom mic. What it is: Microphone recording quality shows how natural, neutral, extended and intelligible speech would be with the device under test, in a quiet environment. When it matters: A microphone with a good recording quality ensures that the person listening to you would hear a full, clear, and easily understandable speech. Therefore, it is important whenever a good quality of speech transmission and intelligibility is needed. What it is: Actual audio recording of the headphone's microphone, recorded while placed on the dummy head, with speech being played back through the dummy head's mouth simulator. When it matters: When a clean, full, and intelligible speech transmission is required. What it is: Low-frequency extension shows how deep the bass response of the microphone is, and therefore, how deep and full your voice would sound to the listener. It is the lowest frequency at which the frequency response reaches -3dB of the target response. When it matters: LFE is not a big factor in speech intelligibility and even speech recorded with a mic that has an LFE of 500Hz could still be easily understood. Therefore, it is mostly important if you are concerned with how deep and full your voice would be heard. What it is: Frequency Response Standard Deviation shows how accurately and balanced sound is captured by the microphone at each frequency. FR Std. Dev. is calculated between LFE and HFE, and the rest of the spectrum is ignored. When it matters: A good frequency response is desired when a natural and neutral speech quality is desired. As opposed to HFE which is more a metric for speech intelligibility, frequency response could be considered as a metric for a natural and neutral sound. What it is: High-frequency extension is the highest frequency at which the frequency response reaches -3dB of the target response. It shows how extended the treble response of the microphone is. When it matters: HFE is one the most important factors in speech intelligibility. The higher the HFE, the brighter, more open, and more extended the speech quality will be which makes it a lot easier to understand by the listener. What it is: The unwanted frequencies (harmonics) produced alongside the intended frequencies, which cause deformation of an output signal compared to its input. What it is: Shows how much louder the microphone can go above our reference loudness level. The gain value is reported relative to our reference level, which is 94dB at a distance of 5cm from the mouth. When it matters: A microphone with a high gain is important when the input signal (speech) is very quiet. For example when whispering, or talking on the phone in a library. What it is: How well the microphone is able to separate speech from background noise, so that the transmission would include more voice and less noise. When it matters: When a clean and intelligible speech transmission is desired in a noisy situation like talking on the phone on a busy street or on the bus. When it matters: If the microphone is going to be used in a noisy environment, it is important for it to be able to separate the speech from background noise, so the voice would be easily audible and understandable. 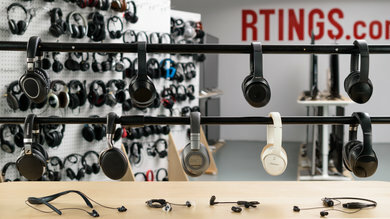 What it is: Headphones with active components that require a battery. 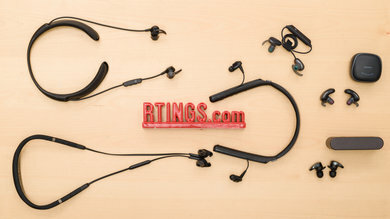 This includes noise cancelling and wireless headphones that actively reduce noise or transmit audio via a wireless connection. 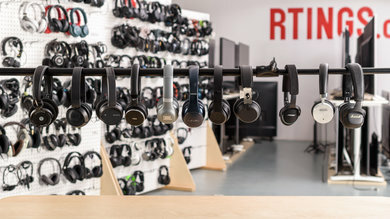 When it matters: How suitable the power and wireless specifications of an active headphone will be, depending on your listening habits. 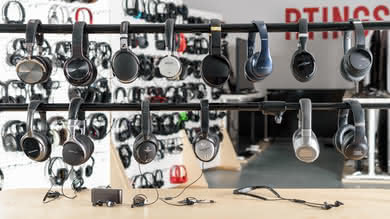 The range and/or discharge time of the active headphone you select will be important if you're often on the move or have long uninterrupted listening sessions. What it is: The power source of your headphones. 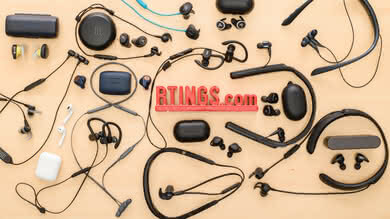 All headphones with active features have a battery that will deplete over time. 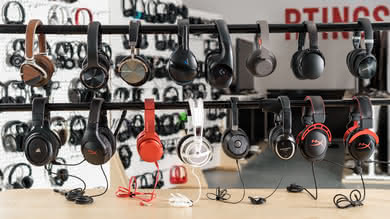 When it matters: To continue using the active features of your headphones. Some models lose features or switch off completely when the battery is drained, which limits what you can do with them until the next charge. What it is: The type of battery that the headphones use. Usually AAA or embedded, Li-ion rechargeable batteries. When it matters: When your headphones run out of power. Rechargeable batteries usually charge via the headphones Micro-USB port whereas AAA batteries have to be replaced or charged with an external device. What it is: The amount of time it takes for a headphones' battery to be completely drained. Battery life will vary depending on the active features used and volume level. 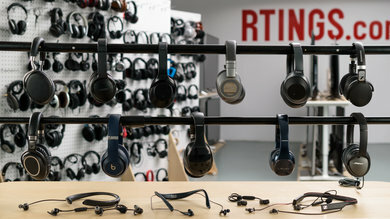 When it matters: For active headphones that connect wirelessly, have noise cancellation or other audio-enhancing features, that cease to work once the battery is dead. 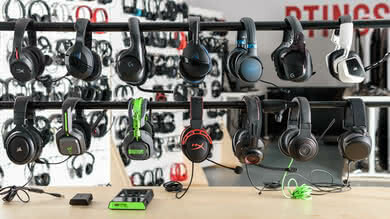 What it is: The amount of time your active headphones have to be connected to a power source to charge from 0 to a 100%. However, charging time will vary depending on your power source. When it matters: To be able to use the active features of your headphones. Especially, wireless ones that completely switch off and need to be recharged when the battery is dead. What it is: A feature that turns off the headphones, after a set time, when they're not in use. When it matters: To prolong battery life when the headphones are not being used, or if you forget to manually turn off your headphones. 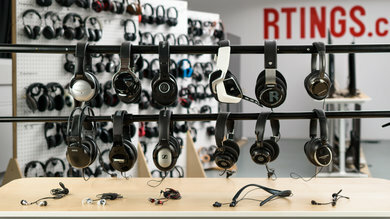 What it is: Some active headphones remain usable while charging. They continue to stream audio and do not disable other active features. When it matters: This makes sure that your headphones's battery are not being drained when you're relatively close to a power source. 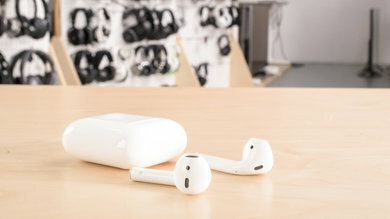 However, this means wireless headphones will need a wired connection to the power source during the charging process. 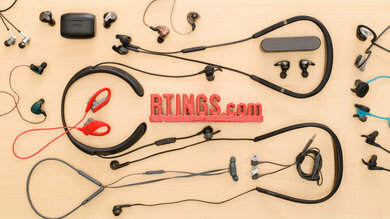 What it is: Active headphones that still work when all their active features are turned off or out of power. When it matters: If you run out of power and do not have spare AA/AAA batteries or access to a power source to recharge your headphones. What it is: The additional app provided to enhance your listening experience. 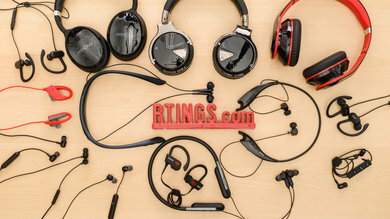 They typically deliver a set of practical features that give you more control over the sound, noise cancelling and effects that the headphones produce. When it matters: An app with a lot of features allows you to customize your listening experience to suit your taste and preferences. 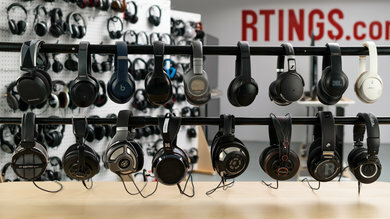 For example, additions like an equalizer can give you more bass or treble and room effects can simulate a bigger Soundstage in closed back headphones. What it is: Parametric, graphic or preset sound profiles that slightly alter the frequency response. When it matters: If you want to tailor, your listening experience. Depending on what you're listening to you may want more or less bass for some tracks or more mid-range for vocals-heavy audio. 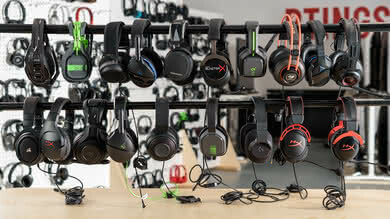 What it is: Control over the Active noise canceling technology. 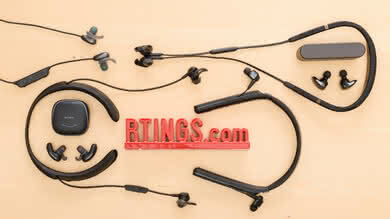 This could be either a simple on/off button, and adjustable slider or even adaptive self-regulating noise cancellation. When it matters: If you're in an environment where you need to monitor your surroundings or completely isolate yourself from ambient noise. What it is: Room effects that enhance the audio quality to make it more immersive. When it matters: If you want to further tweak your listening experience. Adding room effects, can simulate a more spacious Soundstage or deliver a surround sound-like feel. What it is: An in-app player that gives you access to play/stop, track skipping or volume controls directly with the app. When it matters: It's a shortcut that allows you to control your audio without leaving the application. 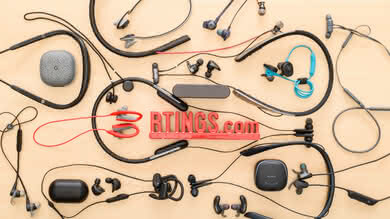 What it is: The inputs and outputs of wired and wireless headphones, as well as their latency performance and range. 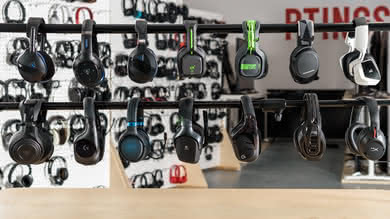 When it matters: To know how compatible your Bluetooth device, console or PC will be with your wired or wireless headset. 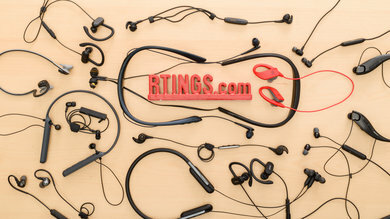 What it is: Bluetooth support for wireless headphones. When it matters: To connect wirelessly to Bluetooth sources like your phone, tablet, console, PC and TV. 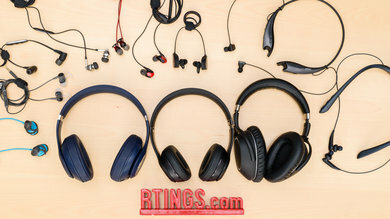 What it is: A Bluetooth profile that allows some headphones to be simultaneously connected to multiple Bluetooth sources, and have full call and media support on both/all devices they are connected to. When it matters: To quickly switch between your Bluetooth sources. For example, switching from your phone to your home or work PC and still have call and media support on both devices. What it is: Near Field Communication technology that allows you to quickly, pair your headphones with your Bluetooth and NFC-enabled device. 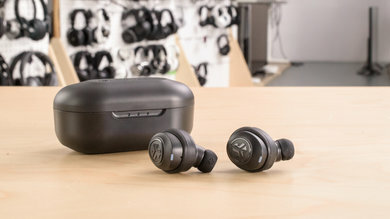 When it matters: This makes pairing with an NFC-enabled device a lot easier than the typical and often tedious hold-to-pair procedure that most wireless headphones have. What it is: Bluetooth compatibility with the PlayStation 4. 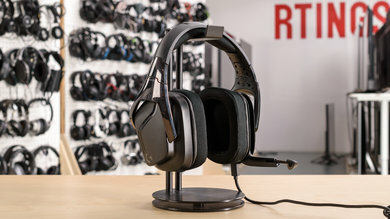 When it matters: To connect your headphones wirelessly with your PS4. What it is: Bluetooth compatibility with the Xbox One. 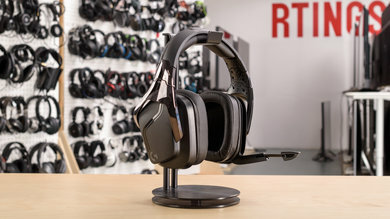 When it matters: To connect your headphones wirelessly with your Xbox one. 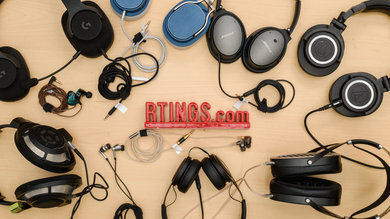 What it is: The type and compatibility of audio cables for wired and wireless headphones. 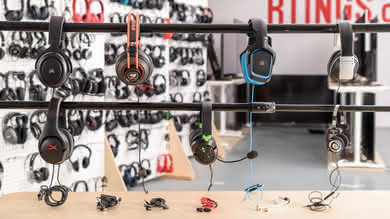 When it matters: For all devices with a regular audio jack (line-out) and also compatibility of the in-line remote/boom microphone with consoles and Personal computers. 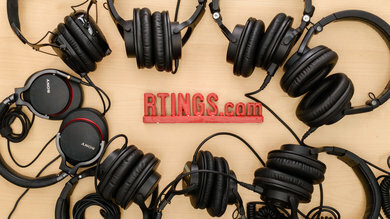 What it is: A regular 1/8" TRS audio jack or a 1/4 or 1/16 TRS with a 1/8 TRS adapter. When it matters: For all devices with a line out. What it is: A USB or USB adapter to connect to your devices for audio and microphone. When it matters: A digital USB adapter usually offers a slight advantages over a regular audio jack, like a DAC, and amplifier module or software support and compatibility with PCs. However it may not be as compatible with consoles. What it is: PS4 compatibility with a regular 3 or 4 pin 1/8 TRS audio cable. When it matters: When you want to use a wired headphone with your PS4 controller. What it is: Xbox One compatibility with a regular 3 or 4 pin 1/8 TRS audio cable. When it matters: When you want to use a wired headphone with your Xbox One controller. What it is: PC compatibility with a regular 3 or 4 pin 1/8 TRS audio cable. When it matters: When you want to use a wired headphone with your PC. What it is: The base station, dock or dongle transmitter of wireless headphones that receive data/audio via a proprietary frequency range. When it matters: Knowing the inputs and outputs of the base/dock/dongle as well as its compatibility with consoles and Personal Computers. Also whether the base supports dock charging to easily recharge the headphones without any cables. 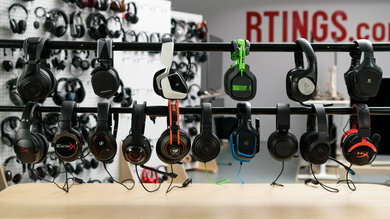 What it is: The type of wireless connection used by the base station/dock to communicate with the headphones. When it matters: For latency and range. For example Radio frequency has low latency but mediocre range when obstructed and proprietary docks have their own 2.x GHz or 5 GHz frequency which varies in performance. What it is: Optical input for audio. When it matters: Optical can carry a bit more data at faster speeds than typical wired connection which allows for more high quality, lossless audio. What it is: The regular wired input via a 1/8" TRS audio jack. When it matters: For any device that has a line out for audio transmission. What it is: A regular 1/8TRS audio jack output. When it matters: If you need to share the audio source with other devices. 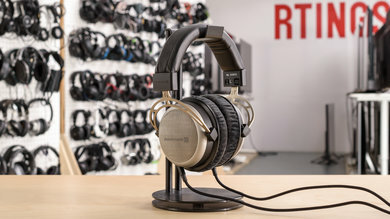 A line out lets you connect other headphones or speakers to the dock/base station. What it is: A digital USB input instead of a typical 1/8 TRS line-in. When it matters: A USB connection can provide both an audio input and power to the Dock or Base station. What it is: Audio input using via an RCA connectors. When it matters: Provides better stereo audio to the dock/base that's then transmitted to the headphones. What it is: Dock/Base station compatibility with the PlayStation 4. When it matters: To be able to use all the features of the dock/base station with out losing audio or microphone capability. What it is: Dock/Base station compatibility with the Xbox One. What it is: Dock/Base station compatibility with your Personal Computer. What it is: The connector type of the power source. When it matters: The accessibility of the power source. For example a power supply with USB/USB-C connects to multiple devices, PC , PS4, Xbox One or even with your regular phone charger whereas a A/C adapter is less common. What it is: Charging the headphones via the dock/base station instead of a charging cable. When it matters: It makes charging your headphones easier and gives you a sport to store your headphones when they are not in use. 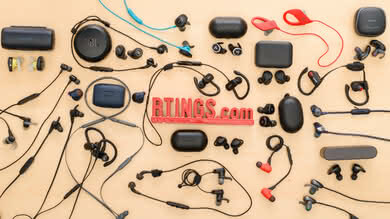 What it is: Headphones that offer a cable-free listening experience over a wireless network, typically via Bluetooth or radio frequency. When it matters: If you don't want to be limited by the length of an audio cable. 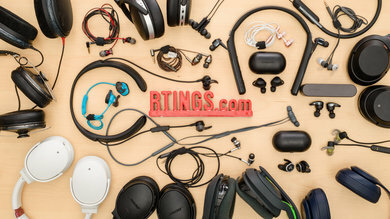 This means having the freedom to move around in your home or office with a much greater range than an audio cable could provide, especially, if the Bluetooth source is heavy or difficult to carry. Note that wireless range also depends on your Bluetooth sources' signal strength which may vary from device to device or depending on your phone model. 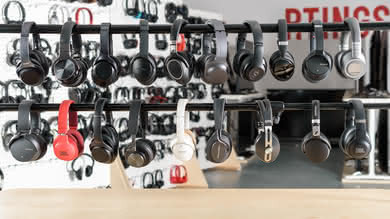 What it is: The range that the wireless headphones can reach before dropping any audio when the Bluetooth source was placed in another room. We test our obstructed range with a Moto E4 Plus. Results may vary depending on your phone model or Bluetooth source. When it matters: If you can't or prefer not to carry your Bluetooth source on you, while listening to your audio in an indoor environment. Although, the obstructed wireless range will slightly depend on your home or office layout. 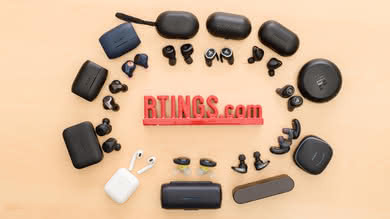 Note that wireless range also depends on your Bluetooth sources' signal strength which may vary from device to device or depending on your phone model. 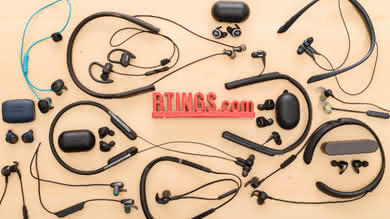 What it is: The range that the wireless headphones can reach before dropping any audio when in direct line of sight of the Bluetooth device. When it matters: If you can't or prefer not to carry your Bluetooth source on you, while listening to your audio in a large and open environment. What it is: How long it takes for audio to play through your headphones once the audio signal has been sent from a source. When it matters: When gaming or watching movies. High latency means you will hear the audio much later than the images you see on screen. 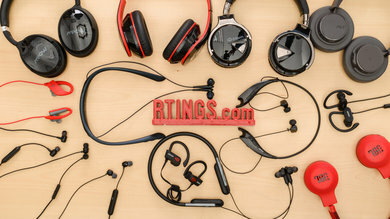 What it is: The Base RF latency or the default sub-band coding (SBC) of most Bluetooth headphones. When it matters: When watching videos a high latency can cause sync issues between the images you see and the audio you hear. What it is: An audio coding algorithm (Codec) that improves bit rate efficiency. It reduces latency and improves sound quality over Bluetooth. When it matters: For better sound quality if your often streaming music over Bluetooth. Also it slightly improves latency when watching videos with wireless headphones. What it is: Low latency variation of aptX that significantly reduces sync issues between video and sound when using Bluetooth headphones. When it matters: When watching videos or gaming latency is a lot more noticeable than just listening to music.